Every Tuesday morning, I teach Food Gardening to folks out at Oak Tasmania. It’s one of the best jobs in the world, sharing my passion for growing fresh food with eager participants and switched-on staff. 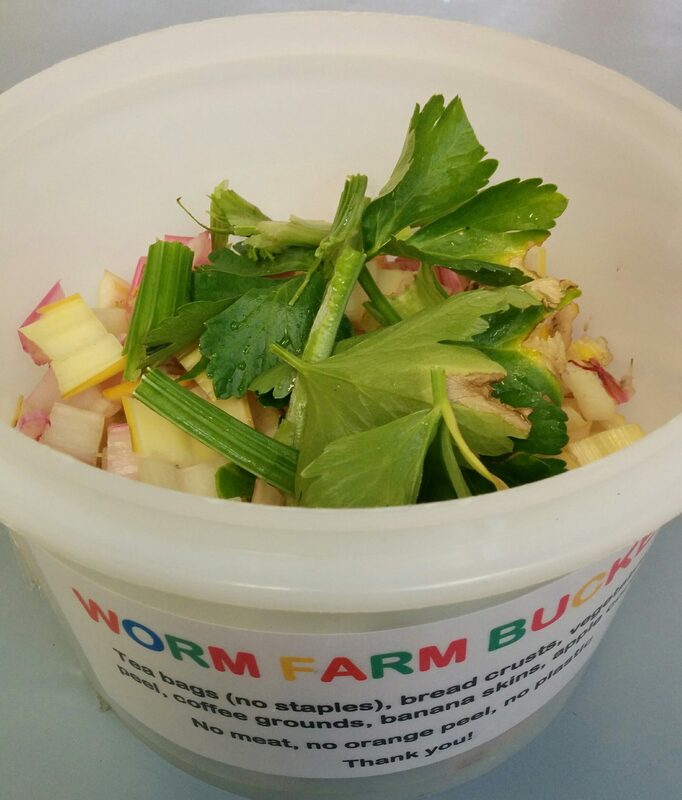 We have two worm farms that take all kitchen scraps from the building and a small vegetable bed that we’ve been working on since the start of the year, and it’s become very productive. 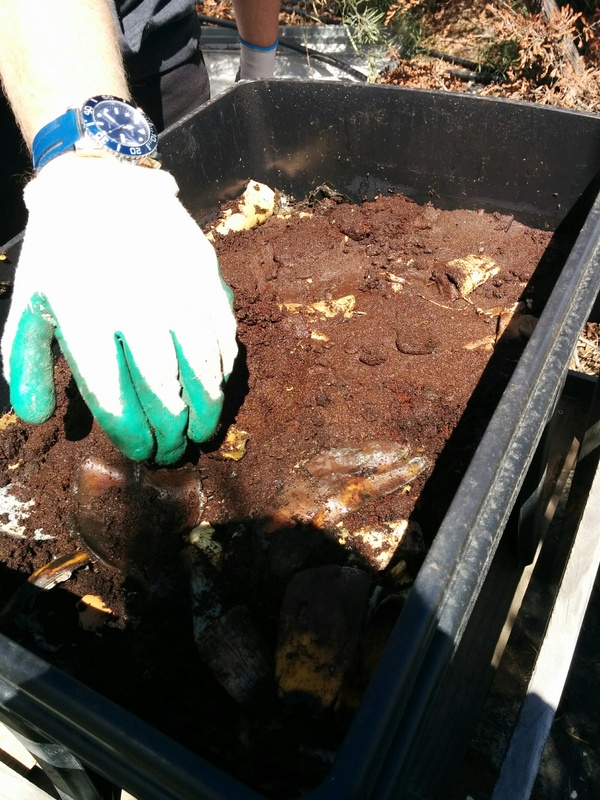 After doing some soil tests, we realised we had to do quite a bit of work to lift the pH (it was too acidic for a lot of the vegetables we wanted to grow) and with a bit of research and effort, everyone pitched in spreading dolomite limestone, and we’ve started getting some excellent results. Apart from learning basic horticulture skills, the participants are growing fresh vegetables for a Cooking program one of my co-workers runs on Wednesdays. So we like to test things out on Tuesdays and learn how to make things too. Most of the folks in my program don’t have gardens but they are fabulous, instinctual gardeners and really great cooks, which I believe most of us are if we’re given half a chance. Today was stunning! 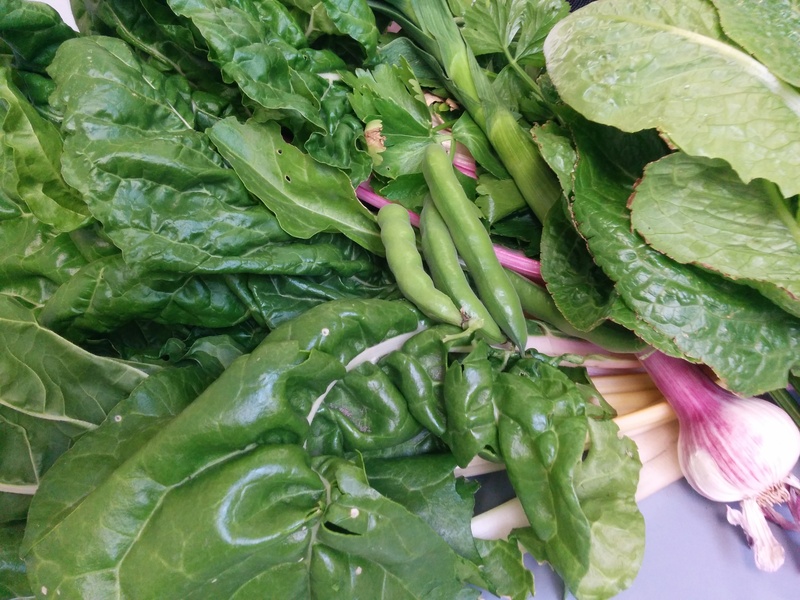 We harvested our first broad beans, some celery stems, a veritable mountain of silverbeet (aka Swiss chard), Cos lettuce and one huge head of garlic. It was a little early for the garlic, but it was a good lesson for the team to learn – and we have quite a few more heads still in the ground. Together, we got a production line going, washed and prepared the silverbeet, finely chopped a few stems of celery and lightly roasted the fresh, whole garlic head and its fleshy stem in a little olive oil. While we were waiting for the garlic to cook, we opened up the luscious beans and scoffed the lot! They were so delicious and fresh! More scraps for the worms! Once the garlic was soft, we smashed the whole thing – head and stems – removed the thick, uncured skins, chopped the garlic finely and fried it in a little seasoned olive oil with the fine chopped celery. 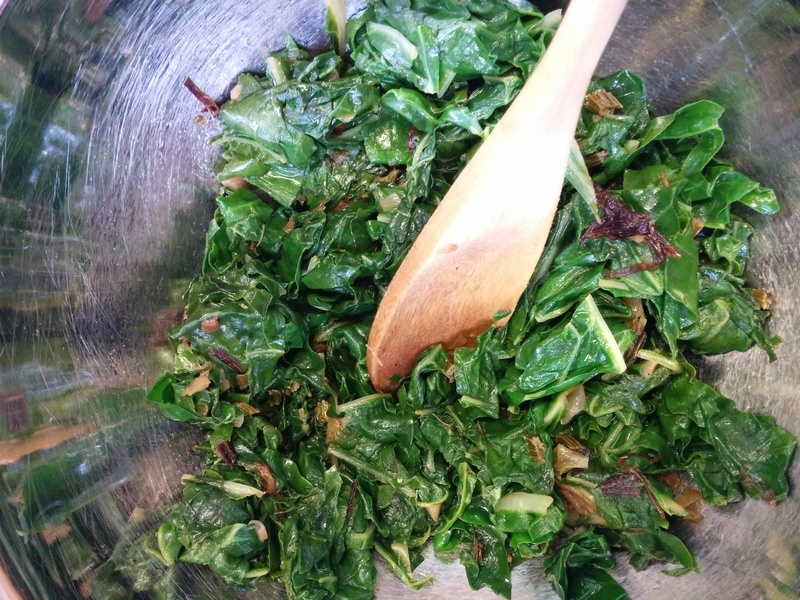 Finally, we threw in the roughly chopped silverbeet, covered it to sweat down for a few minutes and made sure it was all smothered in the wonderful, rich, garlic flavoured oil. We served it in a bowl at our section’s lunch table and we could’ve made twice as much! The Cos lettuce and the rest of the celery are being used tomorrow as a salad accompaniment for a Pizza making session – which makes me wish I was out there again tomorrow!!! Oh me too ❤ I really love what this program's achieving! And aren't we blessed to have such a great team?!? Next we need a cheese mission – wouldn't it be good if we could have a look at how it's made?? ?